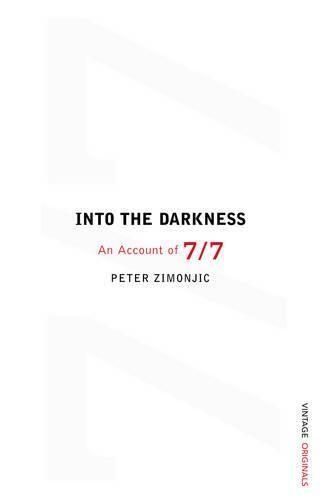 On the morning of 7 July 2005, Peter Zimonjic, a Canadian journalist living and working in London, was travelling on an eastbound Circle line train heading towards Edgware Road. Coming in the opposite direction was a train carrying Mohammed Sidique Khan with a bag full of explosives. As the trains passed each other in the tunnel, Sidique Khan detonated his bomb. Peter's train came to a standstill and he managed to smash the window in his carriage and crawl into the carnage where he and several others spent the next hour desperately trying to help the injured and dying. Into the Darkness reconstructs the story of the day at all four bomb sites based on intensive interviews with dozens of survivors. In the form of a dramatic narrative this book documents the bravery, the triumphs, the despairs, and the shortfalls that occurred on a day when the innocence of thousands of ordinary commuters was lost forever.